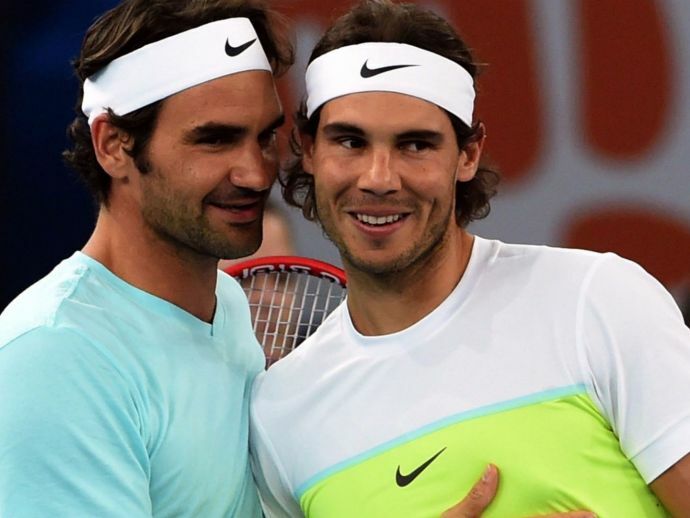 Roger Federer reveals that he would love to pair with arch rival Rafael Nadal. Roger Federer revealed on Monday he wanted to join forces in doubles with arch rival Rafael Nadal at the inaugural Laver Cup that will be held in Prague in September. "I've always wanted to play with Rafa because our rivalry is so special", Federer said about the pairing. The Swiss tennis great made the confession at the unveiling of the new tournament which will see a Bjorn Borg-led European team against John McEnroe's rest of the world. Federer, who beat Nadal in an epic five-set Australian Open final last month, admitted on Monday: "I've always wanted to play with Rafa... just because our rivalry has been so special. "I've seen his wicked forehand go past me too often!" Last year, both Roger Federer and Rafael Nadal confirmed they would be part of the event, both representing Europe as the captain’s picks. Federer, who is currently enjoying a break after his Australian Open win, is in Prague to promote the grand event ahead of the ATP500 event in Dubai. Although the team features both former No. 1's, Federer said he would not get complacent. "I think Team Europe are going to be big favourites but because of the setup of the Laver Cup I think the margins are always going to be very slim," he told reporters at a press conference for the event. It is not certain yet if the two will actually play a match together or otherwise but given that both are still very fit, that would not be a big surprise. With the conclusion of 2017’s final Slam, this will be a tournament to watch out for.